Oklahoma Connection | Gumerson moved to Enid, Oklahoma, in 1948. Jean Gumerson was a founder of the Children’s Medical Research Institute, of which she served as a volunteer and its first president. Born in Minnesota, Jean G. Gumerson graduated from Hayfield High School, Minnesota and attended the University of Minnesota before marrying and moving to Delaware for a time before residing in Enid. 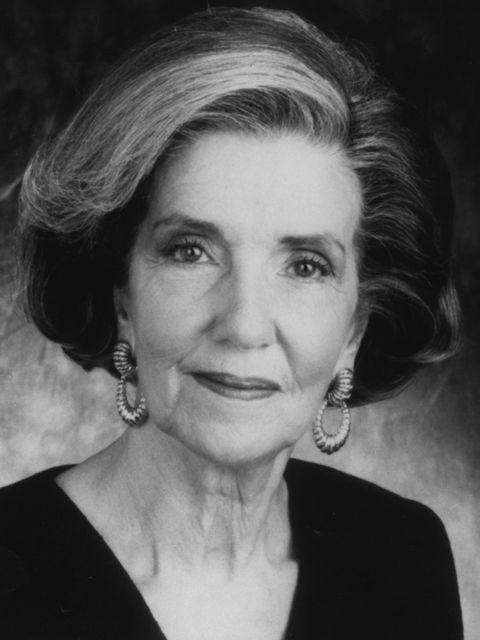 In 1958, she and her family moved to Oklahoma City and in 1960, she began serving on various local, state, and national boards relating to mental health. In 1989 she became the president of the Presbyterian Heath Foundation. Appointed by President Ronald Reagan in 1986 to the President’s Committee on Mental Retardation, she also has volunteered with the American Red Cross, the Oklahoma Public Schools Foundation, and the American Orchestra League. Her awards include Governor’s Arts Award for Community Service, Woman of the Year by the Oklahoma Mental Health Association and the Norick-Hulsey Gallery Award from OCU.